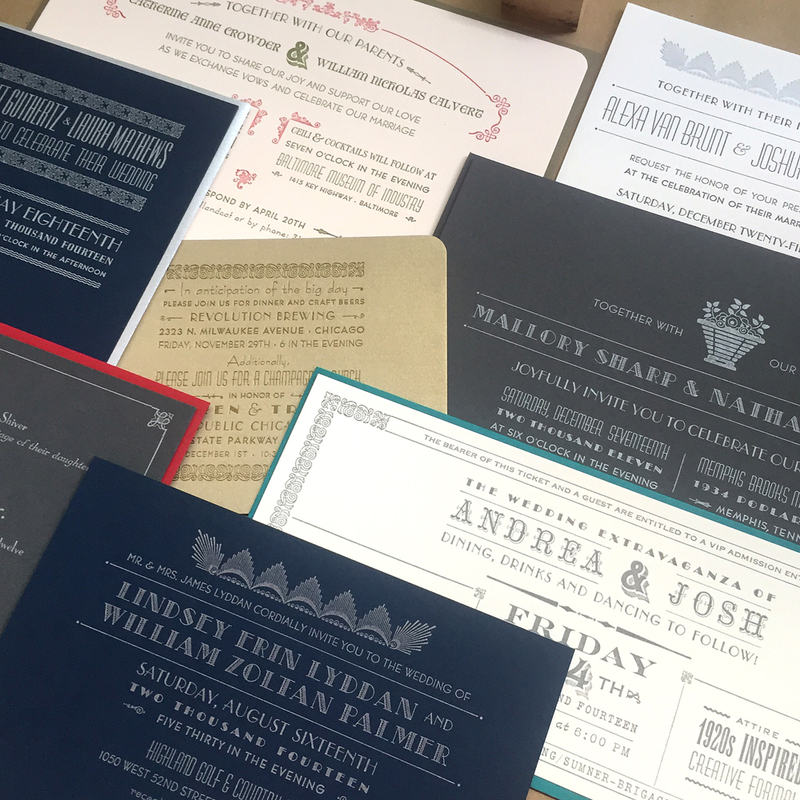 Starshaped offers four distinct wedding collections that showcase antique type in all its glory. Samples are available! The wheel can also be reinvented if you have an idea for a collaboration that doesn't fit neatly into one of these collections. There is an additional design fee. Chicago is my kind of town, but New York might be yours. Or San Francisco. Or Detroit. 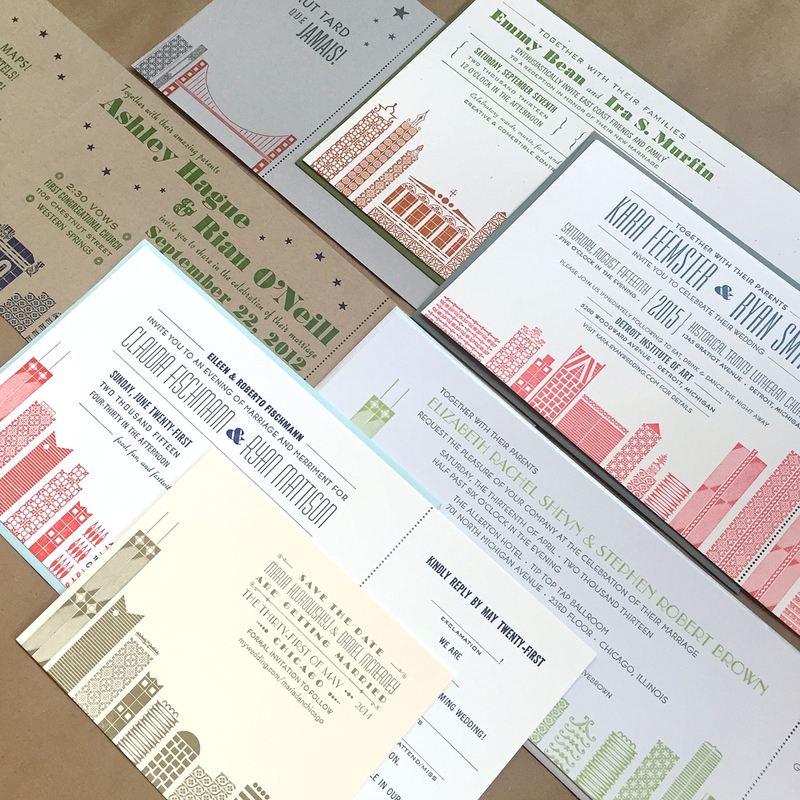 These architecturally-minded invitations build a city, one ornament at a time, proving the details are where it's at. Sleek and streamlined, who doesn't love the simple and clean lines of the Deco period. 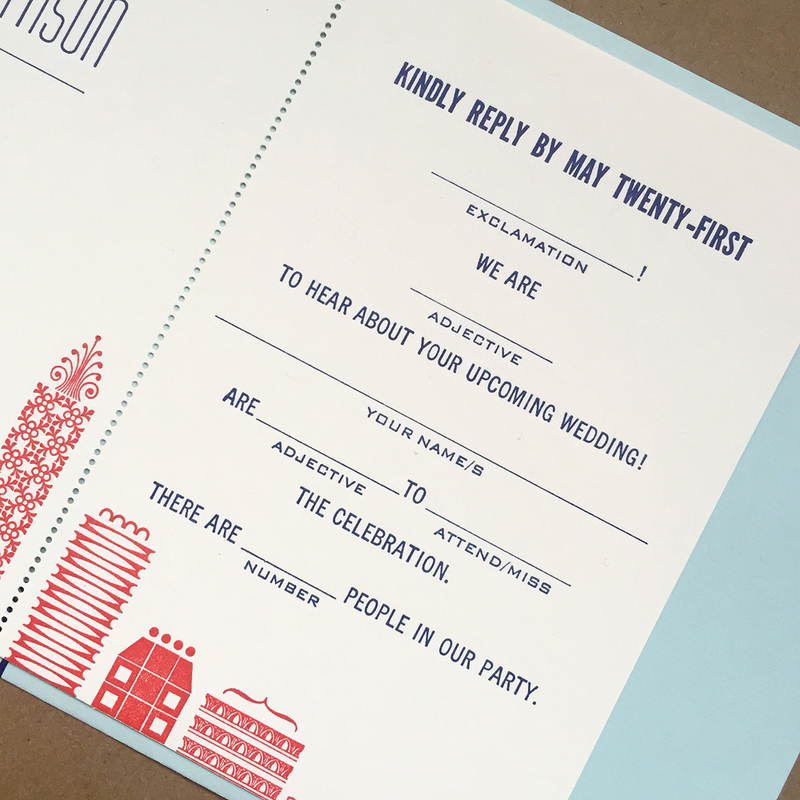 These invitations feature actual type from the 20s and 30s and speak to those who prefer victrolas to smart phones. 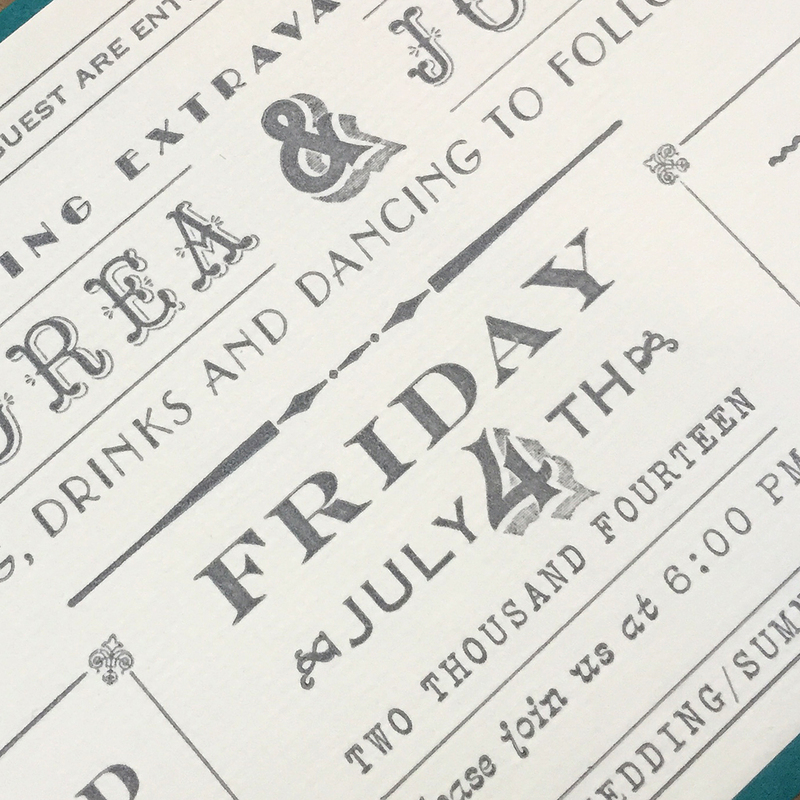 Walk away with the reward for sheer number of typefaces on your invitation! Pretend your in-laws are actually out-laws! 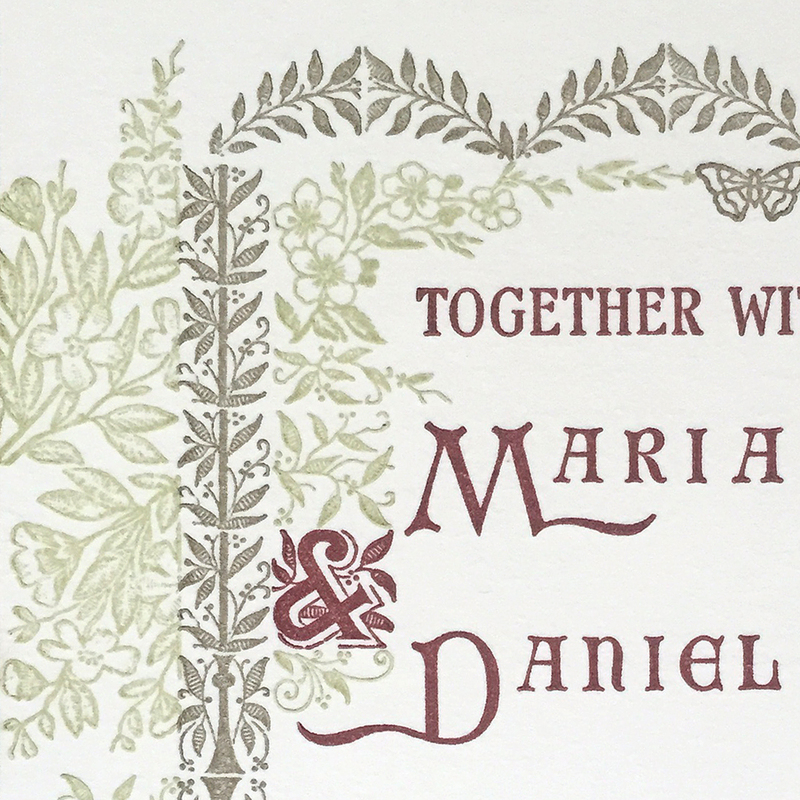 Impress your designer friends with real printed wood type! Party like it's 1889! Can you? 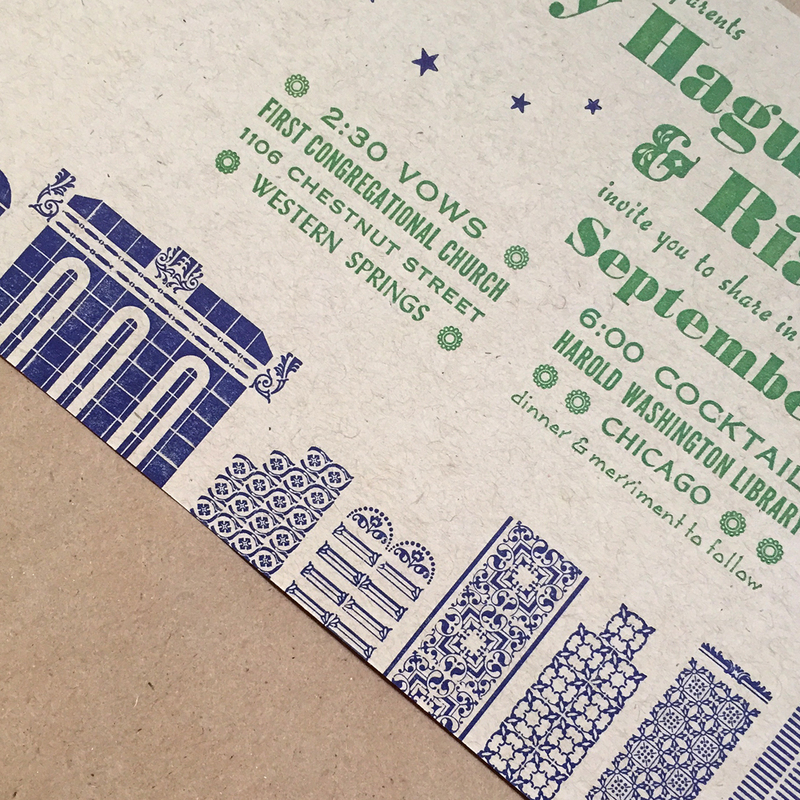 These invitations feature typefaces so old they may have passed their youth sipping absinthe at the Moulin Rouge. If they weren't busy advertising it, that is.